14 Baseball Display Case - Homeplate Shape - High Quality | Sports Memorabilia! 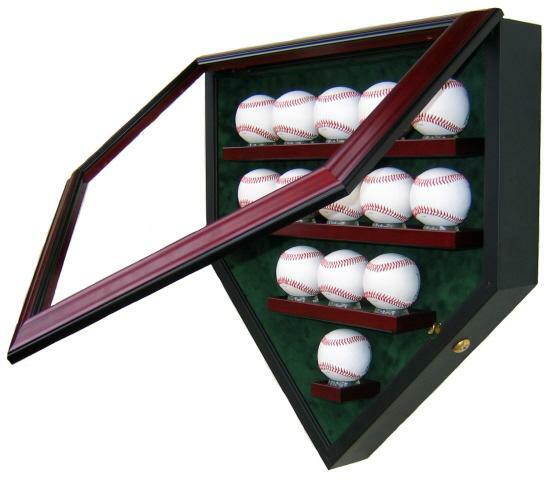 This high quality, American hand made baseball display case holds 14 baseballs. Each 14 baseball display case has museum quality 99% UV protection glass to help prevent fading of the autographs on the baseballs. The solid wood case has a lock and key front door to easily access the baseballs. 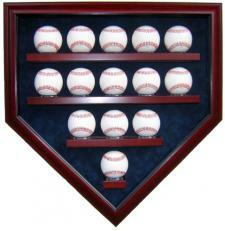 A high quality suede mat is used inside each baseball display case. You pick the wood finish and mat color for each custom made display case. 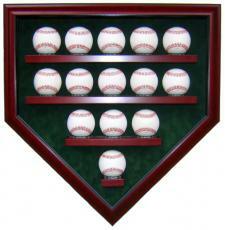 Each baseball display case comes ready to hang and the hardware for the wall is included. The dimensions are 21.5" wide and 22.5" tall and each case weights 10 pounds. The pictured display case has the Mahogany finish. 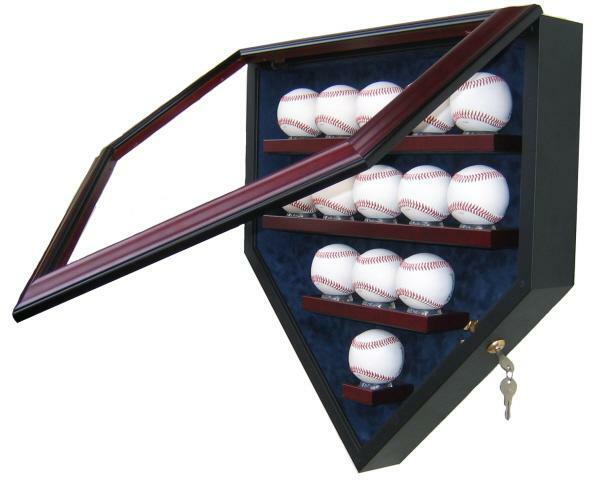 Baseballs are not included. Each display case is custom made to your order. Extensive packing materials and wood is used to protect each display case during shipping. USA shipping and handling is $30 per case (call for shipping costs to Hawaii or Alaska).